Hey there readers. It has been awhile since my last post. Since then I made it through the holidays and into the new year. Plus I did a bit of traveling up to Minnesota. As fun as all of this was, it is but a memory now because I am back home and back to the normal grind. It is nice to know that while I am out there doing things in life my portfolio will continue to work for me. 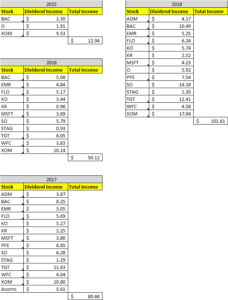 December saw the highest amount of dividend income that I have received in a single month. There were no real changes to the portfolio outside of the market fluctuations. So overall, I am still pleased with how things are. Let’s take a look at how my portfolio did during December. Unfortunately, because of travels I missed some good opportunities in the market. December saw no new stock additions. After reaching the $100 milestone in September, I was able to push that record dividend income amount a little bit higher during December. Let’s take a look at how it was able to do that. December was the last month of Q4 and accounted for $101.61 of my 2018 Dividend Income. In total during 2018, I earned $720.09 in dividend income! 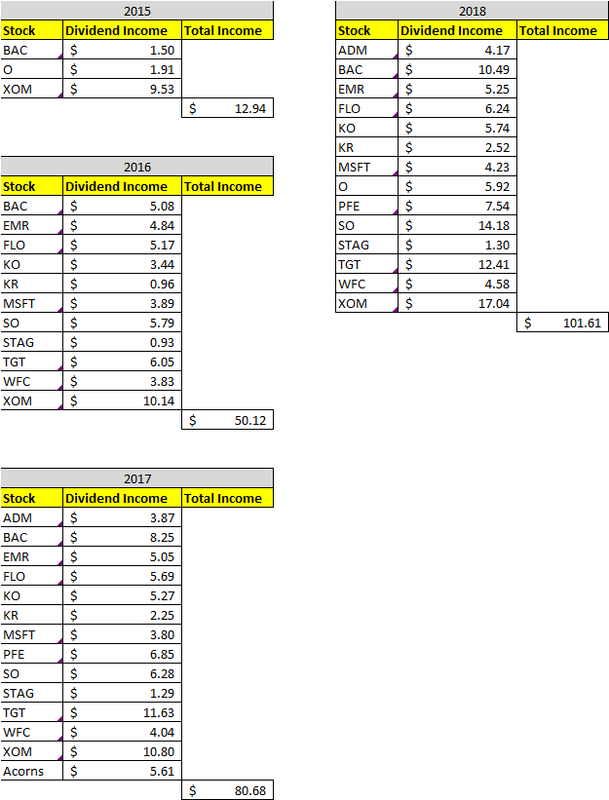 Year over year, I saw a 26% increase in dividends earned during the month of December. Let’s take a look at the year over year comparison. 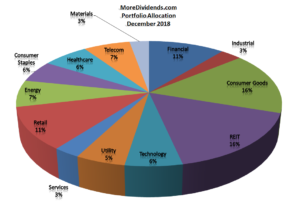 No changes have been made to the allocation in my portfolio. So I am still happy with the current allocation. The market has seen a lot of swings since my last update. Lately, it has been more down than up. Despite these facts I am still very happy with how my portfolio has been holding up. Here are the articles that I posted on MoreDividends.com during September from oldest to newest. Another month with no new purchases. While I haven’t rushed into a new purchase recently, I am definitely ready to purchase something soon. Now that the holidays are over it will be a perfect time to start researching again. So during December, the portfolio mainly operated on auto pilot. 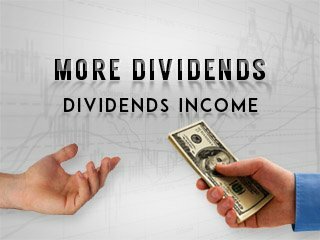 I had a record month of dividend income. Every dollar reinvested only helps me reach FI even sooner.